Mingfu Shao received his B.S. in computer science from Beijing Institute of Technology in 2008, and his M.S. in computer science from Institute of Computing Technology, Chinese Academy of Sciences in 2011. He obtained his PhD degree in computer science from Swiss Federal Institute of Technology Lausanne (EPFL), Switzerland, in 2015. 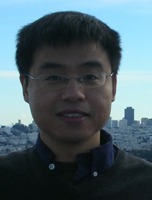 Mingfu Shao’s research interests lie in algorithm design and various areas in computational biology. During his master study, he worked on protein folding. He designed algorithms for protein structure prediction using both combinatorial optimization and machine learning techniques. During his PhD study, he mainly focused on comparative genomics. He designed algorithms for various edit distance problems and median problems in whole-genome comparison, and also applying these algorithms in genome annotation. After graduating with a BS in Computational Biology, Rumi worked at Intel Corporation in pre-silicon validation teams in both Portland, OR and Hudson, MA where he specialized in writing machine checked formal proofs of correctness of control and datapath circuits from Pentium 4s (130nm and later) and several server processors. After returning to academia, Rumi has focused on problems in the automation of biological research, spanning from machine learning method development in active learning, to laboratory automation of mammalian cell culture and microscopy. 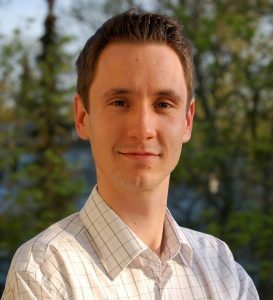 His research interests focus primarily on problems in cell biology: understanding how the cell organizes and maintains cytoplasmic structures and in developing machine learning techniques for describing these. Ercument received his B.S. and M.S. degrees in Computer Science and Engineering at Sabanci University. He earned his Ph.D. in Computing and Information Sciences from Case Western Reserve University in 2013. During his Ph.D. training, he worked on algorithms to detect signatures in omics data for complex diseases using information theory and biochemical networks. He also worked on design and development of online systems and online biological databases such as PathCase. After working mainly on the metabolome and the transcriptome, currently, he is interested in developing methods to analyze the genome to understand the mechanisms of genomic perturbations leading to disease. Junming obtained his Bachelor’s degree in computer science from Fudan University, China. He then received his M.Sc. (honor’s degree) from International Max Planck Research School for Computer Science (IMPRS-CS) at Saarbruecken, Germany, where he grew interests in computational biology. In 2005, he started his Ph.D. studies at UC Berkeley and his doctoral research mainly focused on developing new statistical methods and models for analyzing population genetics data. Junming is interested in problems that bring together statistical, computational and biological themes. In particular, he is interested in the challenges of analysis and interpretation posed by large-scale and high-dimensional genomic data sets. Xin started his career as an experimental biologist: he obtained his B.S. in Biochemistry at University of Science and Technology at China, followed by two years’ graduate training at Northwestern University. 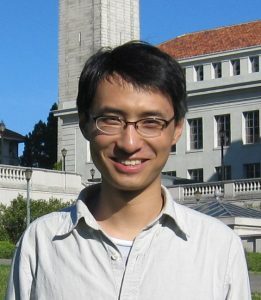 Xin moved to the area of computational biology afterwards, and earned his Ph.D. in Computer Science from University of Illinois at Urbana-Champaign in 2009, under the supervision of Dr. Saurabh Sinha. In his thesis work, Xin developed quantitative models of how regulatory sequences drive spatial gene expression patterns, and how these sequences evolve during evolution. His first postdoc is with Dr. Hao Li’s at UC San Francisco. During this period, Xin became interested in the genetics of human diseases, and invented a novel method to use gene expression QTL to extract insights from genetic association data. As a Lane Fellow, Xin worked with Dr. Kathryn Roeder on methods for analyzing exome sequencing data from family and case-control studies, with particular emphasis on mapping the genetics of autism. At CMU, Xin also worked with Dr. Ziv Bar-Joseph on several topics, from constructing transcriptional regulatory networks to understanding network design principles. As an independent investigator, Xin’s research focuses on developing and employing computational/statistical tools to identify genes and regulatory elements involved in complex diseases and to understand the mechanisms of their functions. He takes highly integrative approaches combining whole exome/genome sequencing data, expression and epigenomic data, and gene networks. Marcel gained his B.S. in Bioinformatics from Freie Universität Berlin, Germany. Subsequently, he got accepted to do his PhD studies at the International Max Planck Research School for Computational Biology and Scientific Computing at the Max Planck Institute for Molecular Genetics in Berlin. During his PhD he worked on algorithms and methods for Next-Generation Sequencing technologies including the detection of alternative splicing, de novo transcriptome assembly, and basepair-precision detection of structural variations. He was also involved in the design of computational methods for clinical diagnosis of patients and sequence learning with Markov models. Marcel is interested in problems where the interplay between wet lab biology, computer science, and statistical learning is crucial for success. In particular, his goal is to improve methods for analysing the transcriptome to understand gene regulatory networks of human systems. In his time as a Lane Fellow, Marcel Schulz worked extensively with Ziv Bar-Joseph and engaged in a diverse set of projects. He worked on a new formulation of Input-Out-Hidden Markov models to analyze the dynamics of transcriptional and posttranscriptional regulation in mouse lung development to understand similarities between dysfunctions in patients with the lung disease idiopathic pulmonary fibrosis (IPF) together with people in Naftali Kaminski’s Lab (then at UPMC). The first method was devised to predict time specific regulatory events of both types. Importantly, new regulators of lung development were discovered that are deregulated in patients with IPF. The new method was published in PNAS and appeared on the PNAS cover. Further, he developed the first method for RNA-seq error correction, named SEECER, which was shown to significantly improve sequencing data quality. In a joint project with Veronica Hinman, SEECER was used to produce the first transcriptome of the developing sea cucumber. Together they developed a new approach to analyze binding patterns of transcription factors from ChIP-seq data without known reference sequence, which will enable researcher to explore transcriptional regulation in novel model organisms. He also cooperated with Kausik Chakrabarti and Michael Widom from CMU and discovered small RNAs that are produced in the malaria causing parasite Plasmodium falciparum and potentially involved in host-pathogen interactions. Cheemeng received his B.Eng. degree (first class honors) from National University of Singapore and his M.S. degree in High Performance Computing from Singapore-MIT Alliance. In 2005, he started his doctoral research in the Department of Biomedical Engineering at Duke University, where he evolved into a hybrid computational and microbial biologist. His Ph.D. thesis focused on implications of bacterial growth on antibiotic treatment and synthetic gene circuits. He published his research in journals such as Nature Chemical Biology and Biophysical Journal and was awarded the Medtronic Fellowship. His career goal is to improve the rational engineering of synthetic biological systems by tightly integrating both experiments and computational algorithms. At Carnegie Mellon University, he works on the engineering of artificial cells that carry synthetic gene circuits, which have potential impact on drug delivery and bioremediation. Dr. Tan’s research aims to engineer artificial cells using an integrated synthetic biology and computational approach. These artificial cells consist of phospholipid bilayers encapsulating cell-free expression systems that are molecularly crowded. Molecular crowding is a natural state of cells that is highly packed with macromolecules. In his research, Dr. Tan discovered that molecular crowding can uniquely affect dynamics and maintain robustness of gene expression. In this work that was published in Nature Nanotechnology, he applied mathematical modeling, single molecule and single cell imaging, and experimental biology as a multi-scale synthetic biology approach. His findings have broad implications on the engineering of artificial cellular systems for drug delivery, bioenergy, and biosensors. His career goal is to establish a synthetic biology foundation towards the construction of autonomous detect-and-respond artificial cells by harnessing functioning principles of nature cells. Xin Gao received his Bachelor of Science degree from the Computer Science and Technology Department at Tsinghua University, China in 2004. He then applied to David R. Cheriton School of Computer Science at the University of Waterloo where he began working on his doctoral thesis in the area of bioinformatics and algorithms. His doctoral work mainly focuses on fully automated NMR protein structure determination and protein structure prediction. 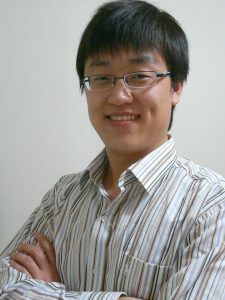 Xin’s research interests include computational methods and machine learning techniques in structural biology, sequence analysis, and system biology. He is particularly interested in developing highly-efficient algorithms and high-quality systems that really work on noisy and large-scale biological data sets. 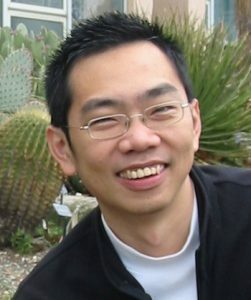 During his time as a Lane Fellow, Dr. Gao worked on developing computational methods to study protein structures and functions. He developed efficient and effective algorithms to automate nuclear magnetic resonance (NMR) data-based protein three-dimensional structure determination. He also worked on studying the dynamics at the protein native state through molecular dynamics simulation and associating it with experimental data. Hiroyuki Kuwahara obtained his B.S. and Ph.D. in computer science from the University of Utah. His Ph.D. thesis describes systematic and automatic model abstraction methodology to efficiently estimate temporal behaviors of genetic regulatory networks. To further pursue his research in the multidisciplinary field of computational biology, He worked for Microsoft Research – University of Trento Centre for Computational and Systems Biology. Among Hiro’s research interests are stochastic modeling, analysis, and control of biochemical systems. In particular, he is currently interested in analysis of rare deviant behaviors in the presence of stochastic fluctuations and analysis of reliable behaviors with unreliable elements. Arvind received his Bachelor of Engineering degree (with distinction) in Electronics and Communications from Bangalore University, India in 2001. In 2003, he received the Master of Science in Engineering degree from the Electrical and Computer Engineeringg department at the University of Texas at Austin, with a specialization in Communications, Networks and Systems. He earned a A.M. in Statistics from the University of Michigan in 2007 and was a Rackham Predoctoral Fellow. For his doctoral work at the University of Michigan, he worked on understanding long -range transcriptional regulation in higher eukaryotes. 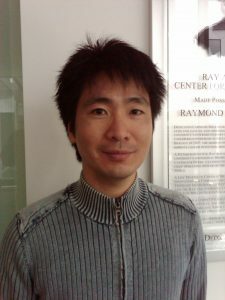 His research interests lie at the intersection of signal processing, machine learning, experimental and computational systems biology. Le Song completed his B.S. degree majoring in computer science from the South China University of Technology. He then went to Australia and did his Master’s and PhD studies both at the Univeristy of Sydney. He was also an endorsed student from the National ICT Australia. His main research interests are statistical machine learning, kernel methods, information visualization and their applications to biological and social problems. He has worked on various projects such as visual analysis of complex networks, identification of discriminative neuromarkers from EEG data, and selection of informative genes from microarray data. His goal is to bring modern machine learning tools into biology and generate real impact in the biology community. A mathematician turned computational biologist, Peter earned his PhD in math at UC Berkeley with a designated emphasis in computational/genomic biology. While at Berkeley, Peter applied polyhedral geometry to analyze Needleman–Wunsch sequence alignment, fitness landscapes, and the performance of neighbor-joining. In particular he helped construct the first genome-wide parametric alignment. Peter’s current research interests include sequence analysis, proteomics and phylogenetics, with a focus on probabilistic models and machine learning techniques. He’s particularly interested in applications to HIV sequence analysis and disease association studies. In his spare time, Peter enjoys poker, backgammon, and fishing.